The product is a 5 light semi flush ceiling light finished in a chrome effect plate. The 5 arms support shades made from clear glass ÔcrystalsÕ for a shimmering light effect. IP44 rated so suitable for use in bathroom. 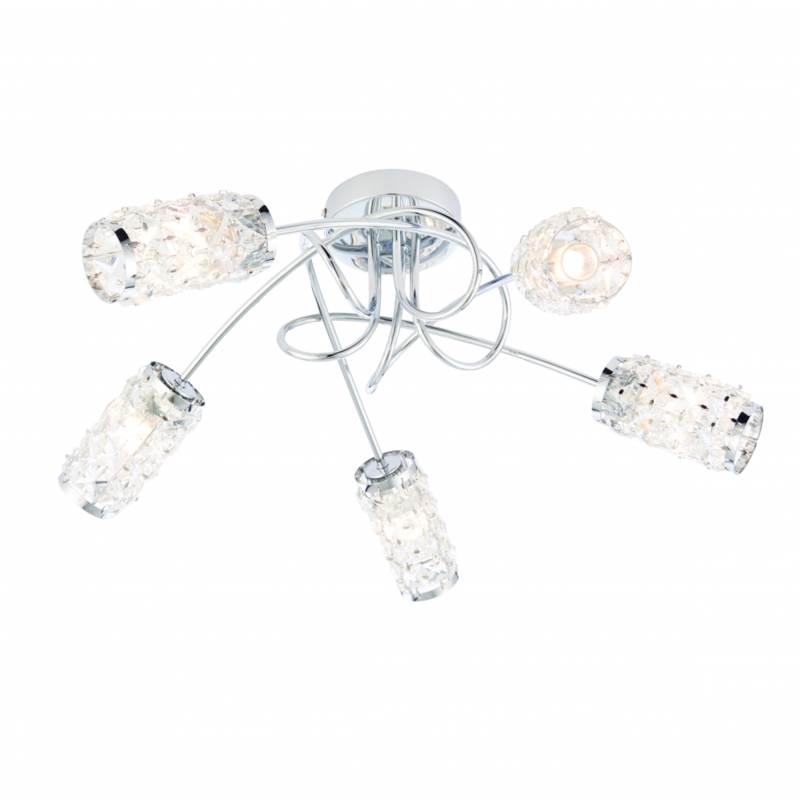 Also come in a 3 light version, dimmable and compatible with LED lamps. 23cm projection x 56cm diameter. Bulb information: 5 x 18W G9 clear capsule - not included. This product is dimmable and has an IP rating of IP44.